Tomer's Take: Ski Loveland, Breckenridge or Winter Park on Friday, Wolf Creek on Saturday, Taos or Angel Fire Sunday, and Whistler Blackcomb on Monday. The storm track is running abnormally far south across the southern third of the country through Saturday. Initially, this means most of the snowfall will miss the ski areas across the Intermountain West and the Northeast. Late in the weekend, the storm track changes allowing a series of storm systems to hit the Pacific Northwest then move inland. Overall, this is more of a traditional El Niño pattern allowing the southern third of the country to receive heavy precipitation. The storm track favors New Mexico, including Taos and Angel Fire, but the exact track of an inbound storm system is tricky. 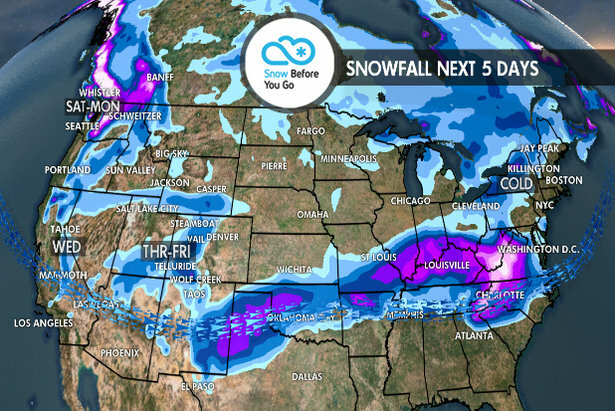 The storm system could deliver snowfall between Friday and Saturday. It's also possible this storm largely misses the ski areas delivering only light accumulation. Another storm system is possible by the middle of next week. Quiet until Friday night-Saturday as the first minor storm system arrives. A second larger storm system arrives between Sunday and Monday with moderate to heavy snowfall over the high volcanoes and Cascades. Quiet until Friday night-Saturday when light to moderate snow accumulations arrive. A second larger storm system arrives between Sunday and Monday with moderate to heavy snow accumulations. The storm track is just too far south. It stays cold and quiet until Monday when snow arrives. Snowfall ends on Thursday morning, then a more tranquil pattern settles in through the weekend as the storm track shifts away. Snow returns on Monday and beyond as the pattern changes back to active. A small refresher snowfall hits Colorado on Thursday (Wednesday afternoon in Utah). The storm system responsible tracks south of Colorado between Thursday and Friday favoring the southern mountains including Telluride, Purgatory, Silverton and Wolf Creek. Then drier for the weekend. Snowfall returns Tuesday-Thursday next week. I only see a couple of unorganized dustings through the weekend. 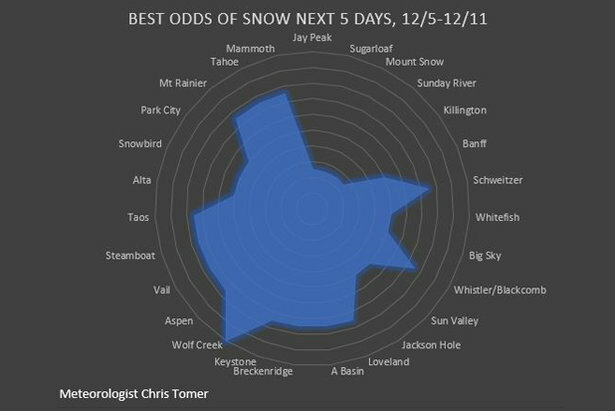 Schweitzer is probably in the best position for snow between Sunday and Tuesday. There's just nothing organized until early next week. 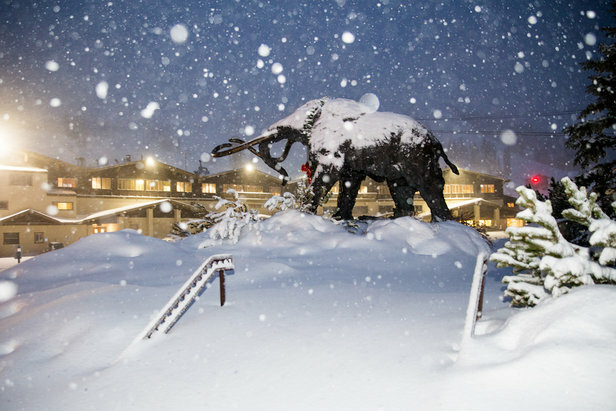 Which ski resorts will see the best chances for snow in the next 5 days. Cold with a couple Alberta Clippers racing through and some lake effect snowfall. The larger, more organized storm systems miss the area to the south. The storm track is running abnormally far south for December.